The words ‘In addition’ in the above Article should not be interpreted as ‘Notwithstanding anything to the contrary in the Constitution’. Therefore, the provisions in the above Article do not give the President additional power to disregard any other Article in the Constitution related to dissolution of the Parliament. In fact, the words ‘In Addition’ in this instance have the same meaning as the words ‘As well or Also’. Therefore, all the Articles in the Constitution on the subject (i.e. dissolution of the Parliament) should be considered together by the President in exercising his powers. 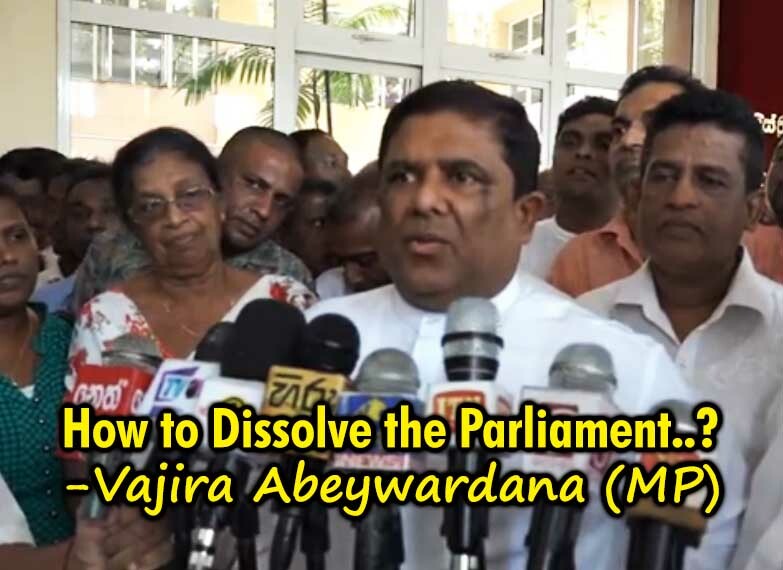 During other times, dissolution of the Parliament needs a resolution passed by not less than two-thirds of the whole number of Members (including those not present), voting in its favour. As such, the President may exercise his powers under Article 33. (2) (c) to dissolve Parliament AND in doing so, shall not disrespect the limits or constraints stipulated in Article 70 (1). “And you have to cut this flesh from his chest. The law allows it, and the court awards it. Unless Parliament is sooner dissolved, every Parliament shall continue for five years from the date appointed for its first meeting and no longer, and the expiry of the said period of five years shall operate as a dissolution of Parliament. The above limit states that on expiration of five years ‘from the date appointed for its first meeting’, the Parliament would be automatically dissolved. The words ‘Unless Parliament is sooner dissolved’ is only meant to be a condition, which should not read and construed as an exclusive power given [to the President] to dissolve the Parliament notwithstanding the provisions given under Article 70(1). Further, there is a notion that Article 33 (2) (c) has been included in the 19th Amendment to the Constitution in order to give the President the exclusive right to dissolve the Parliament at his discretion notwithstanding the provisions given under any of the other Articles of the Constitution. This view is totally wrong. The real reason for adding the said Article has been to include the power to dissolve the Parliament in ‘Article 33: Duties, powers and functions of the President’ and thereby to bring it under the purview of Article 35 (1) so that any person, whose fundamental rights in respect of dissolution of Parliament have been infringed through anything done or omitted to be done by the President in his official capacity, can apply to the Supreme Court by way of a petition in terms of the provisions given under Article 126. All other matters under Article 33: ‘Duties, powers and functions of the President’ essentially come under the jurisdiction of the Supreme Court. Further, both Articles 48 (1) and (2) confirm that the power given to the President under Article 33(2) (c) to dissolve Parliament can only be exercised under Article 70. The above Articles are presented below. However, if the Supreme Court decides to reject the petitions on the basis that the President had dissolved Parliament under Article 33(2) (c) and not under Article 70(1), then a contradiction will be created by that decision between Article 47 (1) and Article 48 of the Constitution. This is the only provision in the Constitution to dissolve the Parliament while Parliament stands prorogued. Therefore, the President can dissolve Parliament only in accordance with Article 70 while Parliament stands prorogued.